Western Digital has been one of my favorite hard drive brands. It has time and again proven to be sturdy and reliable, never once giving me any reason to doubt its quality and reliability. I have owned several Western Digital hard drives in the past and they are all still working to date. What makes Western Digital a go-to brand for hard drive users, apart from its reliability, is the very affordable pricing. A good balance of quality and great pricing is one of the reasons Western Digital hard drives continue to attract buyers. 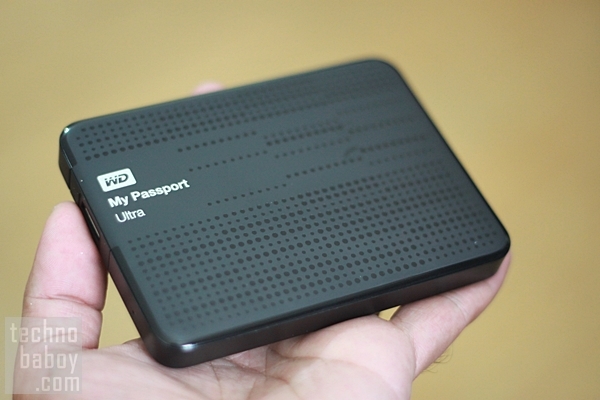 One of the newest products from Western Digital is the WD My Passport Ultra. There have been My Passport Products in the past but it is the first time the word Ultra has been used in this line of external hard drives. The WD My Passport Ultra comes in 500GB, 1TB and 2TB variants and I was lucky enough to have used and reviewed the 1TB and 2TB variants. For pricing in the Philippines, the My Passport Ultra portable hard drives are priced at Php3,390 for the 500 GB capacity, Php4,290 for the 1TB capacity and Php7,290 for the 2TB capacity. All variants come with a 3-year limited warranty. As hard drives become bigger in terms of storage capacity, they also continue to get smaller in size. Technology has an amazing way of making things smaller, and in return, better for consumers. The first 1TB external hard drive I owned was huge in size and needed external power source for it to work. Then my second 1TB external hard drive lost the external power source requirement, and was considerably smaller. Now, the WD My Passport Ultra has made things better again, as the size of the enclosure is small and thin, making it the most portable 1TB, and consequently, 2TB, hard drives I ever owned. The size of the WD My Passport Ultra is extraordinarily small you wouldn’t believe that it houses a storage drive with 1TB and 2TB capacities. 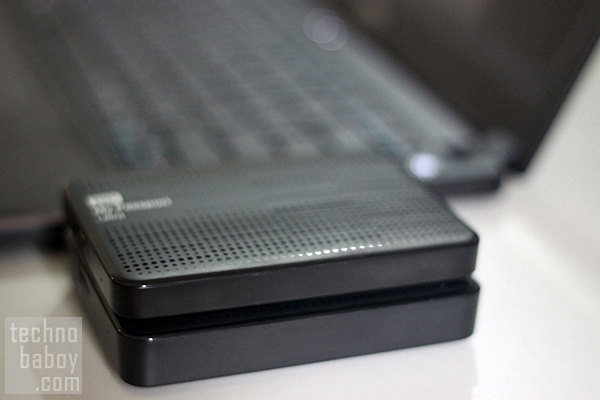 The 2TB variant is slightly thicker, which is understandable as the capacity is double that of the 1TB. In terms of dimensions, the 1TB variant comes in 4.35x 0.61x 3.23 in inches while the 2TB variant comes in at 4.35×0.82×3.23. At 0.61 and 0.82 inches, respectively, the 1TB and 2TB My Passport Ultras are just as thin as the slimmest ultrabooks in the market. Needless to say, they are extremely light and extremely portable, making them perfect companions for laptop owners. Even desktop owners would appreciate the diminutive size of these My Passport Ultras as they are extremely easy to store. In terms of durability, the WD My Passport Ultra feels tough and sturdy in the hand, with build quality that only comes with top notch manufacturing and use of premium parts, this, despite the fact that the external enclosure is made of plastic material, not metal. The top of the hard drive is mostly matte, with dotted glossy spots, while the underside has a textured finish. 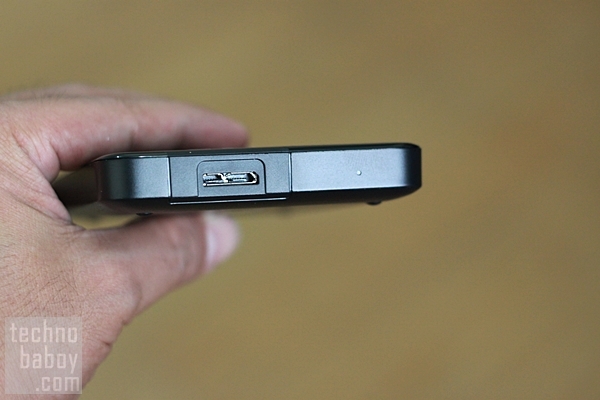 Only one port can be seen in the entire drive, a USB 3.0 connector on the left side. 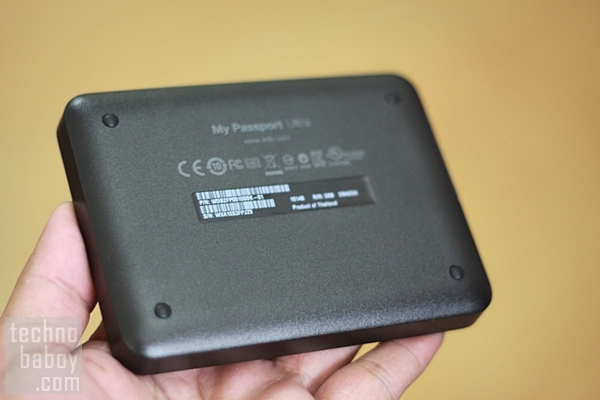 As already mentioned, the WD My Passport Ultra is a USB 3.0 portable storage device. This is naturally makes this particular hard drive faster than the non-USB 3.0 products in the market. But what makes the WD My passport Ultra really different from other external hard drive products are the software features. The My passport Ultra includes software for automatic backups to the host system or to the My Passport Ultra and also includes the ability to use Dropbox to backup data in the cloud. The WD My Passport Ultra also allows users to setup password protection and hardware encryption. These are key features for data security. 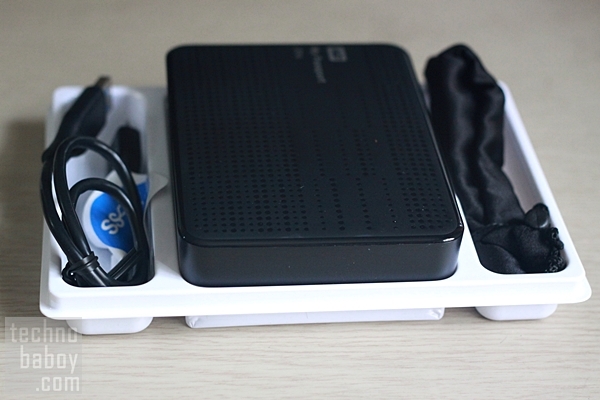 Specifically, the WD My Passport Ultra comes with WD Drive Utilities, WD Security, and WD SmartWare Pro. The WD My Passport Ultra is easy to setup. 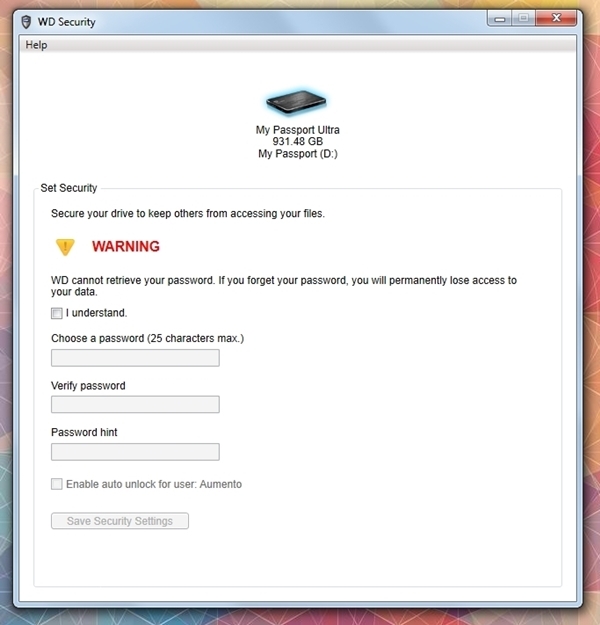 Plugging in the hard drive prompts the user to install software components like the WD Utilities, WD SmartWare Pro and WD Security. After installation finishes, the SmartWare Pro can then be activated e-mail which gives them access to install the Pro version on up to 3 computers. 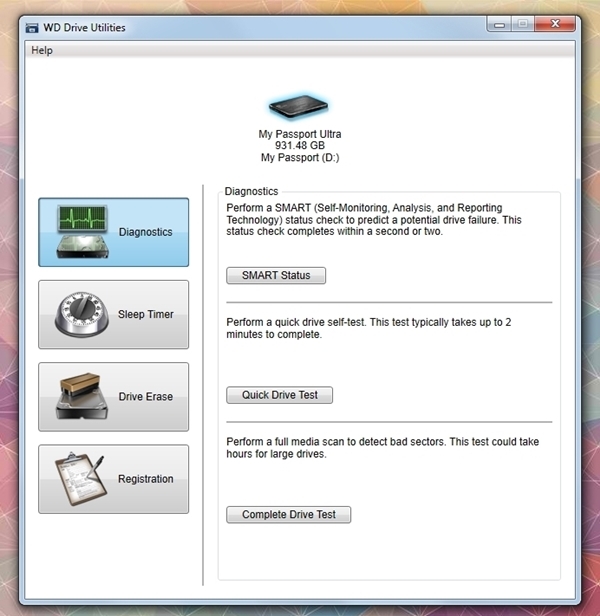 WD Utilities can be used to perform diagnostics testing on the drive. WD Security, on the other hand, sets up the password and other security options while WD SmartWare Pro offers device backup options, including backup to a Dropbox account. All these features make the WD My Passport Ultra a great purchase as it becomes a complete storage and backup device with enough security features to protect data. In terms of performance, real world usage showed that the WD My Passport Ultra is fast. A set of files amounting to 1GB of data was copied from the drive to a standard Windows 8 laptop in only 38 seconds while copying the same files to the hard drive lasted 39 seconds. This performance of course also depended on my laptop’s hard drive speed. 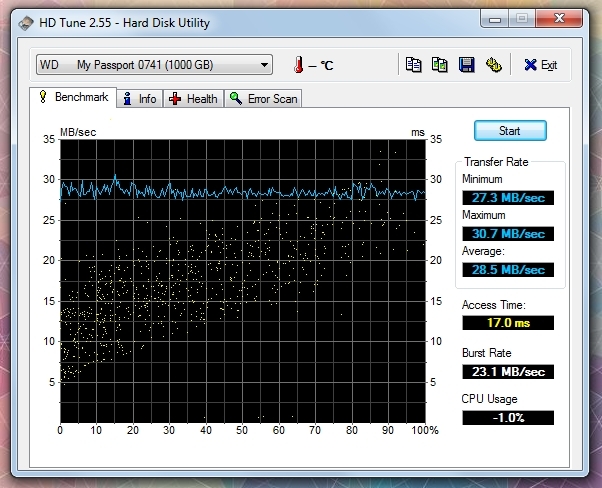 Running HD Tune benchmark resulted in a 27.3/s minimum transfer rate and 30.7MB/s maximum transfer rate. Benchmark tests performed by other sources however prove that the WD My Passport Ultra is way faster under optimal conditions, capping speeds at 100.69MB/s for sequential read and for 101.49MB/s sequential write, and 71.95MB/s for reads and 73.97MB/s for writes for large-block transfers. The WD My Passport Ultra is a tiny USB 3.0 portable storage device that successfully marries pricing and features. It has an attractive design, it is ultra portable and it has a great build, albeit the enclosure is made of plastic material. The WD My Passport Ultra comes with useful software features that enhance the usability and performance of the hard drive. Features like the WD Utilities, WD SmartWare Pro and WD Security are features that current users should find useful. 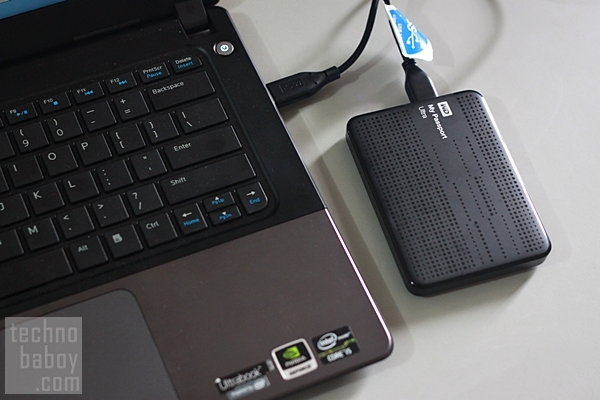 In terms of performance, the WD My Passport Ultra has proven to be fast and reliable. The affordable pricing makes this all the more attractive. 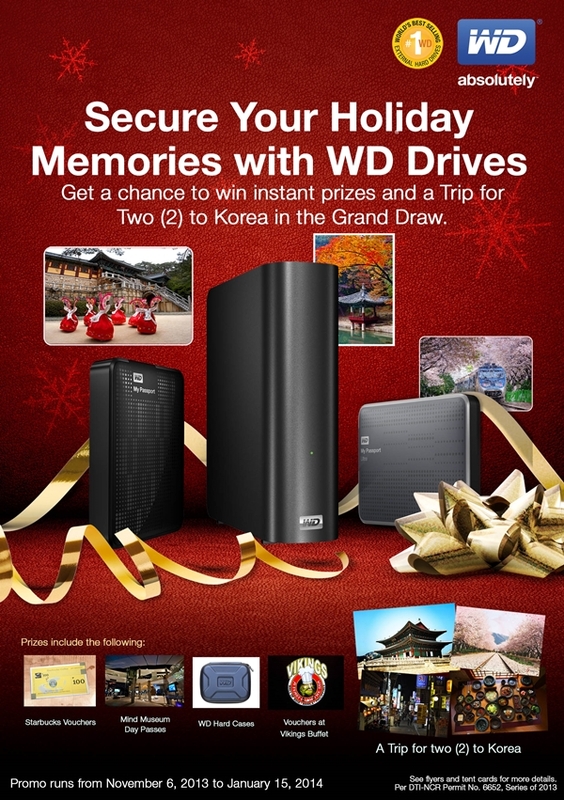 If you want to check out the WD My Passport Ultra, now is the time to do it as there is an ongoing promo where buyers get the chance to win prizes including a trip for two to Korea. Check out the flyer below for more details on this promo.